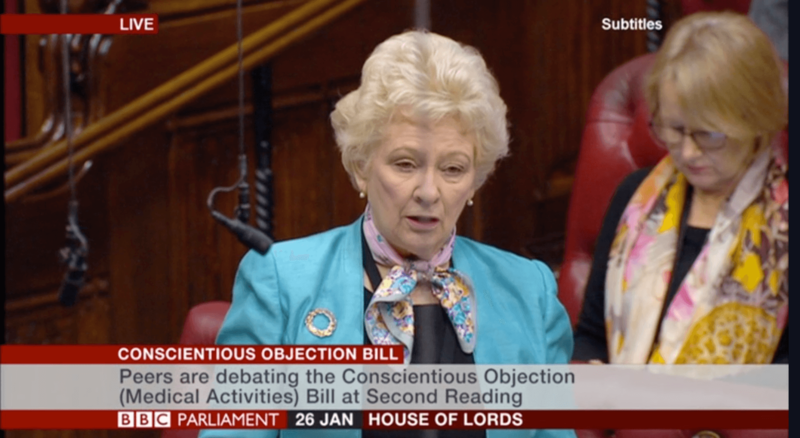 Baroness O’Loan’s Conscientious Objection (Medical Activites) Bill will go to a Committee Stage in the House of Lords tomorrow (Friday 23 March). The Bill will clarify the law to ensure conscience protections are in place for medical practitioners to protect them from discrimination, enabling them to fully participate in their chosen professions and care for patients to the best of their ability. The Bill will give the right to withdraw from end of life treatment, activities under the Human Fertilisation and Embryology Act and abortion. Under the existing law, some medical professionals are not protected from unjust discrimination. GPs, as well as many nurses, midwives, pharmacists, and other medical professionals have limited statutory conscience protection. As a result, some areas of the healthcare profession are becoming increasingly difficult places to work for those with certain deeply-held moral, philosophical or religious views. Not only is this discriminatory, it could also mean healthcare professions will become increasingly less diverse, inclusive, and representative of the views of the general population. An Inquiry in 2016 found that some doctors and nurses face discrimination in the workplace due to their conscientious objection to practices that they believe end a human life. The conscience rights of midwives were also undermined by a 2014 Supreme Court judgment, which held that the conscience provision in the Abortion Act 1967 did not allow them to refuse to engage in aspects of abortion such as telling someone else that have to carry out an abortion. A recent ComRes poll found that a majority of the public oppose forcing doctors to participate in abortion procedures against their will if they want to remain in their profession. 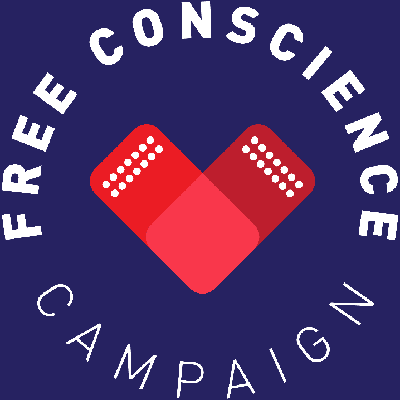 The Free Conscience campaign, which has been launched to support the Bill, is calling on the public to visit their website (www.freeconscience.org.uk) where they can write to their MP, asking them to support the Bill. “No one should be coerced by the risk to their careers into violating their conscience, and it is plainly inconsistent with the principles of equality legislation to exclude whole sections of society from areas of medical employment simply because of their moral beliefs. Reasonable accommodation of conscientious objection is a matter both of liberty and equality: of individual freedom and social inclusion. It is promising to see support from across the country for the Bill”. “It’s reassuring to see this Bill is gaining momentum and continues to progress through Parliament. This Bill will restore the conscience rights of those who work tirelessly day in and day out to serve and care for others. As medical professionals, we owe patients not only our efforts but also our best moral judgement, and this Bill would allow us once again to practise with the greatest integrity. I fully support this important legislation and commend it to Parliament and the wider public”. For more information on the Conscientious Objection (Medical Activites) Bill, the Free Conscience campaign and previous media coverage on the Bill please visit www.freeconscience.org.uk. To arrange a media interview with Baroness O’Loan, please contact oloann@parliament.uk.